It’s one thing to understand how remaining calm, supportive and objective can be a great service to our children and another thing to do it when we’re exhausted, frazzled, and sleep-deprived. It’s also another matter when the emotional wounds from our own childhoods come roaring forth like a fire-breathing dragon. Until one has children, it’s often easy to escape the darker parts of our personality. Yet, once we become a parent, we are often so tired or pushed or overwhelmed that those darker sides we’d rather not acknowledge make all-too-frequent appearances. Fortunately, these events can mark some important growing points and can provide opportunities to help ourselves and our children work through difficult feelings. Children learn from watching how you deal with your own feelings, just as they learn by watching how you deal with theirs. While you wouldn’t want to saddle your child with inappropriate exposure to your adult issues and emotions, it is not unhealthy for them to simply see you angry. It’s what you do when you are angry, and how you manage your intensity, that are important. Showing healthy responses to strong emotions teaches children that these emotions can be expressed and managed safely. Change the frame – Words or phrases can trigger our own over-the-top issues. “Why is this always so hard?” or “I can’t do this any more!” Statements or rhetorical questions like these may release a flood of outrage and frustration that really has nothing to do with our children, but with our own childhood legacy. Choosing another way to see the situation or choosing not to say the phrase makes it more likely that you will stay conscious and connected. Set standards – It’s difficult to think clearly when you are upset or frustrated with children. A strategy would give some predetermined guideposts that are “bottom lines” for our behavior. Perhaps you decide that there will be no hitting or swearing and that if things get too hot you will call a compulsory parent time-out. Monitor your own feelings – Anger is a second feeling. Usually something occurs first — fear, sadness, fatigue. Learn to catch yourself and monitor how you’re feeling. Tuning in to your own cues of frustration may prevent a parental meltdown. 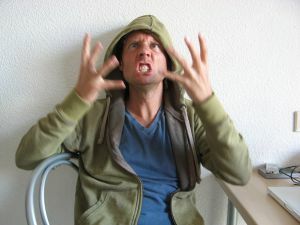 Learn effective strategies for diffusing the anger. Learn to pause. Step away, if you have to. It takes practice, but it has been shown that just a few seconds can diffuse the anger significantly. What are you really angry about? You cannot be supportive and connected when you are feeling enraged. Tune in to what you are really angry about. Harville Hendrix in Giving the Love That Heals says that some of our strong reactions that are “negative, intense, and repetitive are an almost certain clue that a parent has found a point of potential growth for himself. 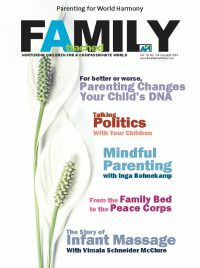 You know you are face-to-face with the unfinished business of your own childhood when you respond with strong negative feelings to your child’s behavior.”For instance, if you were not supported as a toddler in asserting your independence, your own toddler’s age-appropriate defiance will be troublesome for you. If anger wasn’t allowed in your family, you will have difficulty helping your child through this stage. Get some support. Get an outlet. Use this as an opportunity to heal some old wounds. Don’t give in to phrases that may escalate the anger. Phrases like, “You always do this” or “I’m so tired of this” can cause anger to really flare. Work to avoid scaring children. You can honestly and vigorously express your feelings without being scary. Work to express anger without blame or labeling. “I feel angry when you throw your toys” instead of “You make me so angry.” The child doesn’t make us angry. We make a choice, albeit unconscious, to become angry. Don’t act physically when angry. Spanking is not the only form of physical anger that parents sometimes use with their children. When angry, do not go to pick up or move your child. Physicalizing when angry only seems to unleash even more, perhaps buried, anger. Take a break. Step away for a moment and take a breath. Stay in the present. Learn to distinguish your own backlog of anger from that which is appropriate to the immediate situation. What’s underneath the anger? Pay attention to the emotions that accompany your anger. Overwhelmed? Fatigued? Burnt out? Work to identify the underlying causes and address them. If your anger is not really about the children, make sure they know it’s not their fault, that you’re just feeling angry, crabby, tired, etc. Acknowledge your mistake. Tell the child how you were feeling at the time of the incident and why. Tell the child how you are feeling now (e.g. sorry, embarrassed, etc.) and why. De-brief. Discuss what you could have done to calm yourself. Problem-solve. Brainstorm with your child how you both can avoid future incidents. Good parents do get angry. It’s what you do with your inevitable and healthy anger that is important. It would be quite a different world if we all knew how to be angry with one another in a productive and safe way.